For 15 centuries, Riyadh, Saudi Arabia’s largest city, served as the historic gateway to the holy cities of Mecca and Medina, and every year millions of pilgrims flock there. But Jeddah, the kingdom’s second-largest city and only port on the Red Sea, ranks as an important Middle East commercial center, attracting people from all over the world to do business here. Although fire demolished much of the ancient city, dating back to 522, modern Jeddah proves a thriving, rapidly expanding metropolis of 4.3 million people. 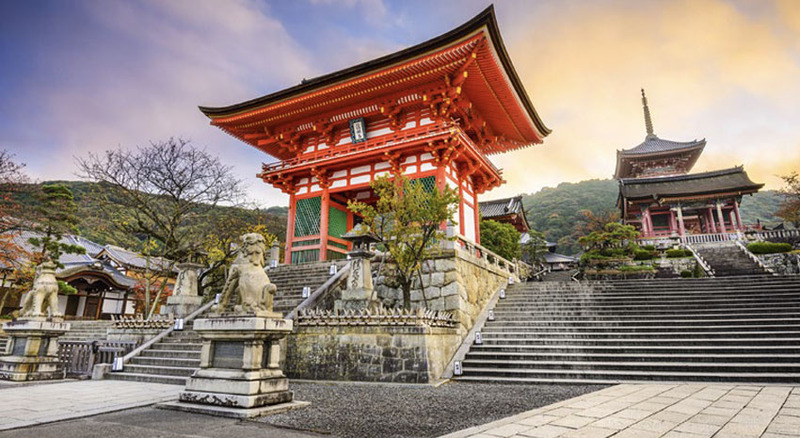 One of the most liberal cities in the kingdom, it encourages business activity, with the government focused on developing the city into a leading force in science and engineering. Jeddah scores as a top player in innovation. Jeddah presents a cosmopolitan air, yet despite the relaxed atmosphere, it is important to observe the rules of business etiquette. Western dress is acceptable for men; however, long hair and piercings are not. Women must not drive; and while foreign women aren’t required to cover their heads and wear black robes, it is appreciated when they do. Avoid discussion of the royal family since any word interpreted as an insult could result in the death penalty. Overseas investors must include a local partner who is not required to participate financially but who retains the option to control and close the business and must be paid. Since tourism is strictly regulated, the preponderance of non-pilgrim overseas visitors arrive on business, landing at the striking, white King Abdulaziz International Airport, the country’s busiest, located about 15 miles north of town. The design features exposed structural piping and a yellow and red “kite” motif overhead. While the airport undergoes extensive expansion, the North Terminal handles foreign carriers. For those whose hotels don’t provide shuttle service from the airport, door-to-door shuttle buses depart from the lower floor of the North Terminal just outside baggage claim and charge around $15 for the 45-minute trip to town. A metered taxi ride to the city center takes about half an hour and costs around $50. Within town, taxis are numerous, but drivers often require a reminder to turn on the meter. Expanding wildly since the 1940s, Jeddah now spreads 17 miles north along the Corniche coastline road to the Abhor beach area. 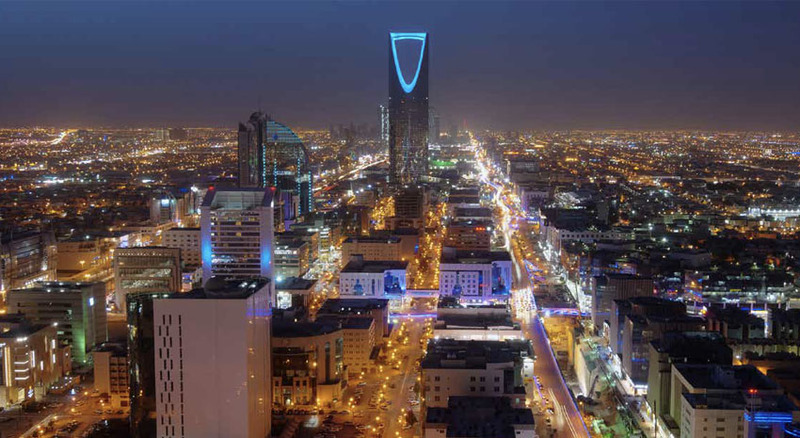 King Abdulaziz Street is the principal north-south axis, while corporate offices and commercial developments are concentrated on Prince Saud al-Faisal Street. Department stores and boutiques line the fashion and shopping thoroughfare, Tahlia Street. Numerous malls offer dining, shopping and escape from the heat. The yacht-themed Mall of Arabia even features a winter wonderland Snow Village. Because of traffic congestion, most business travelers prefer to select a hotel with proximity to the airport and offices. A favorite, the Rosewood Jeddah, rates high marks for its location, food and fitness center. Although not beachside, guestrooms in its tall, curving tower offer views of the Corniche. Rooms feature dark wood accents and textile awnings over some beds. Just 20 minutes from the airport, the immense Jeddah Hilton offers beach views and a lobby adorned with waterfalls and fountains. Boasting one of the city’s largest conference centers, it provides reliable rooms and amenities plus squash and tennis courts, a Hilton Fitness spa and shopping arcade. The 5-star Park Hyatt Jeddah – Marina, Club and Spa attracts visitors to sparkling white guestrooms accented with Arabian textiles and glass console bathroom counters. Its several meeting and conference rooms include two facing the sea, “suitable for high-profile product launches.” A ladies’ spa and a sports and wellness center for gentlemen augment tennis and squash courts, a gym, sauna and traditional hammam. Although aging, the five-story Inter-Continental Jeddah lies near the city center and directly on the Corniche. Guestrooms outfitted with draperies and traditional décor are scattered in structures around the property. The health club is acclaimed and the staff lauded for efficiency. In a city with an influx of global visitors, it’s no wonder restaurants feature an array of international cuisines. Most upscale hotels provide a selection of dining options. The open show kitchen of Park Hyatt’s Nafoura offers an à la carte lunch menu for business travelers, and its ladies-only restaurant Dardasha features a traditional afternoon tea. 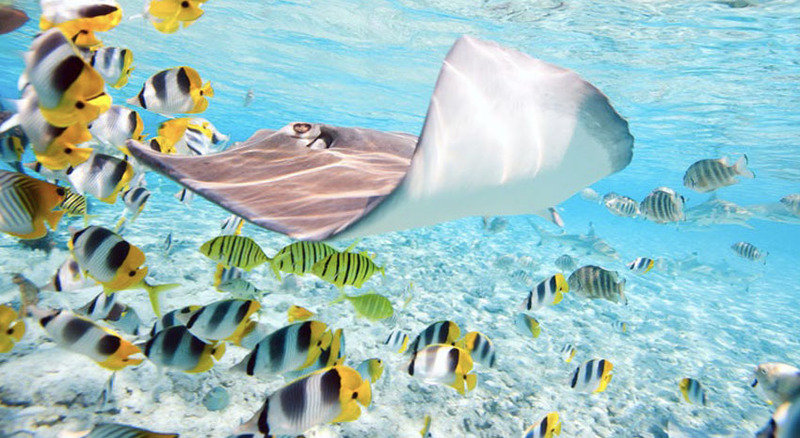 But visitors who venture beyond the hotels find an array of choices, many focused on fish and seafood. Those with a hankering for Italian fare can visit Margherita in a typical seaside house or Il Gabbiano on the North Corniche. Enjoy Indian fare at Zaika on office-heavy Prince Saud al-Faisal Street. On the same street, try Turkish Köşebaşı for quick business lunches or The Butcher Shop & Grill, a popular steakhouse. Sushi and sashimi feature on the menu at ZN in the Roshan Mall on Talia Street. Al Nakheel on the North Corniche serves traditional Hijazi Saudi cuisine, with beautiful views of the Red Sea. Two favorite venues specialize in Lebanese fare: Yonine on Malik Road serves classics with a modern twist in a palace-like setting, and Byblos, perhaps the most popular high-end restaurant, caters to a wide audience, with local and international businesspeople favoring it for lunch. The same owners feature Chinese and Asian food at Toki and Indian food at Bharat on Sari Street in the Stars Avenue Mall. 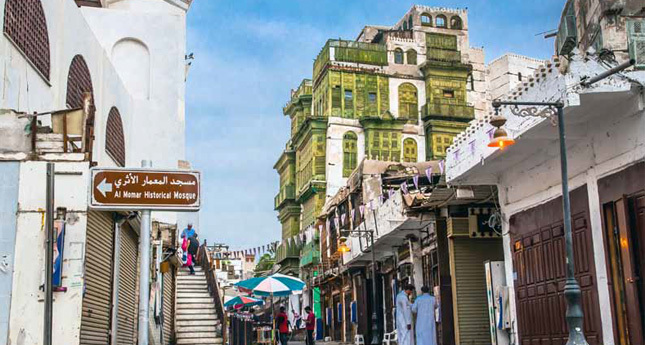 Visitors should find time to visit Old Jeddah, a UNESCO World Heritage site. Its Souq al-Alawi has changed little through the centuries, still thronged with pilgrims and traders from all over the world. The Al-Balad district — called “one of the most enchanting places in the kingdom” — is a traditional neighborhood with buildings made of coral overhung by intricate carved balconies. One of the coral structures houses the Jeddah Museum, and the Regional Museum of Archaeology and Ethnology was once the Khuzam Palace of King Abdul Aziz. Financed by the 1970s and 1980s oil boom, a wealth of public art makes Jeddah one of the world’s largest open-air art galleries. You’ll find works by Jean Arp, Alexander Calder, Henry Moore, Joan Miró — plus sculptures of bicycles and wrecked cars embedded in concrete — in roundabouts and on promenades along the Corniche. Hard to miss is King Fahd’s Fountain, more than a thousand feet high, cited by Guinness World Records as the highest water jet in the world. In September 2014, Jeddah hoisted a huge Saudi flag up what is currently the world’s tallest unsupported flagpole, according to Guinness. Fountain and flag offer two superlative landmarks welcoming pilgrims and business travelers to Saudi Arabia’s most cosmopolitan city.